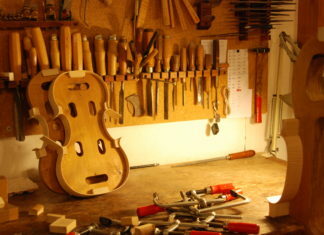 Buying the best violin strings that make your violin sing can be challenging since there are so many brands available. 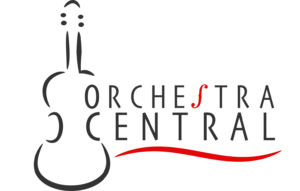 In order to help you find the best violin strings, we have reviewed and ranked the best violin string brands below. These are strings that we have tried and researched thoroughly so you can be assured of the quality. 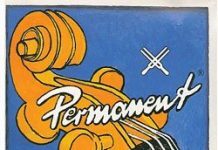 Our #1 violin string recommendation this year is Thomastik-Infeld – Dominant. There is no one violin string that sounds great on all violins since each violin is unique. We recommend trying several different violin strings to understand which strings make your violin sing. 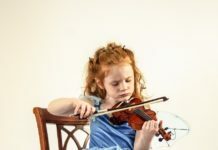 Our list below includes violin strings that are rated highest by players, but you will need to find the best violin strings for your violin from this list. Violinists sometimes mix and match different violin string brands in order to get the best sound. Instead of buying full string sets, you can find individual strings on Amazon, to save money and not waste strings. What should you look for in violin strings? The same brand of violin strings can sound different on different violins. 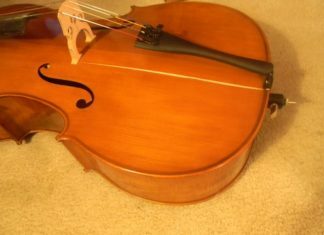 The inherent uniqueness of each violin makes even the relatively stable sound of Dominants sound different. Therefore, you should try many different violin strings before you settle on the ones that make your violin sound the best. Another great alternative is mixing and matching different violin string sets in order to get the best sound possible. In our “Popular Violin String Combinations” section below, you can see how people tend to mix violin string sets to get the sounds that work best for their violin. While we do recommend trying different brands of violin strings, experimenting can get pretty expensive, so we recommend evaluating your budget for violin strings and adjusting accordingly. Even so, if you are a serious player you will want to find the right fit for your instrument and playing style. 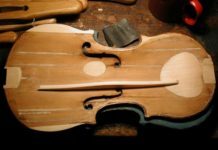 One potential solution to find the right string is buying a different brand each time you need to replace your strings and over the next few years, you’ll figure out which ones work for your violin. Gauge/Thickness: This is one factor you’ll want to experiment with. Guage is the diameter of the violin string and can have a tremendous effect on the sound. Material: The materials used to make the string also have a large impact. Whether you go with gut or steel core will make the string sound and vibrate differently. Generally, modern strings are made from synthetic material wrapped in metal coil or solid metal. Price: Typically having to be replaced at least once a year and costing upwards of $100 on average for a full set, violin strings aren’t easy on the budget. Strings are expensive, there’s no way around it. It’s important to find a balance between sound and price while searching for the perfect violin strings. 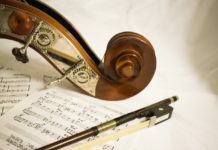 While there are a lot of options for strings and you may feel perplexed at this point, this guide will help you select some starting varieties that will let you experiment with the sound of your violin. 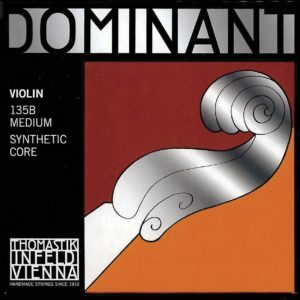 Thomastik-Infeld Dominants are one of the most popular violin strings due to their flexibility and stable pitch. Many virtuoso violinists use or have used Dominants as their primary string. Dominants have a very long life which makes them worth every penny. Dominants come in different lengths and gauges, so you’ll be sure to find a size that fits your violin. 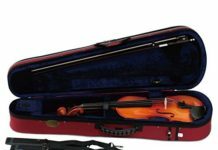 Dominants were the first strings manufactured with a synthetic perlon or nylon core and have become a measuring stick against which most other synthetic violin strings are measured. 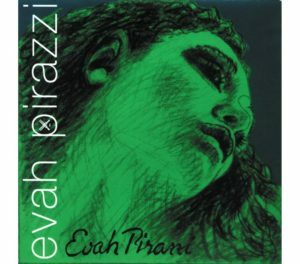 Evah Pirazzi’s are used by a number of virtuoso players including Joshua Bell (violin) and Kristina Fialová (viola). While they have a high price tag, the sound is unmatched. Pirazzis offer a complex and warm tone with dynamic responsiveness and excellent projection. These are great soloist or concert hall violin strings. Evah Pirazzi violin strings come in three different styles: Regular and Gold. 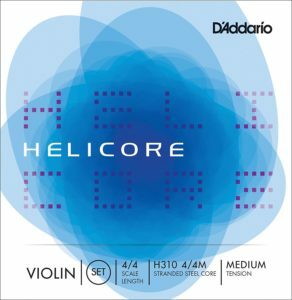 For the beginner or intermediate student, we recommend the Regular style since these are the most cost-effective.The Gold violin strings set is intended for intermediate to advanced players who want a complex sound for solo play or for concerts. Jargar strings are quite literally the most interchangeable strings. Although they sound perfectly clear as a set, most violinists combine the Jargar strings with other strings. 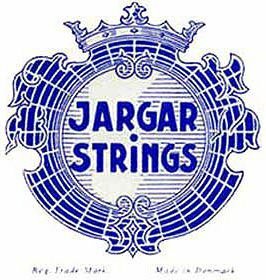 A common combination used with Jargar violin strings is a Jargar E combined with Dominant A, D, and G.
Jargars are available in a variety of gauges. 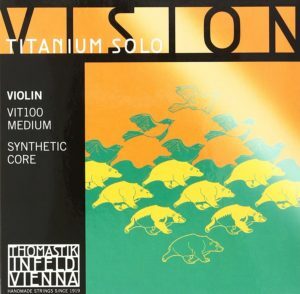 Thomastik-Infeld Visions are the smoother, richer cousin of the the Dominants. Slightly more expensive than the Dominants, Visions are great for the intermediate to advanced player who is looking for a nice complement to their finer instrument. They are great for solo players and orchestra players alike, but really should be used only for solo playing since the Dominants are a more affordable orchestra string. 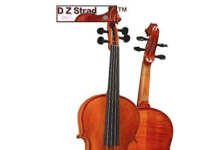 These strings are brighter than most and sound great on more expensive violins, but may not be heard on lower-end student models. We highly recommend only getting these once you’ve moved on from a student model violin. 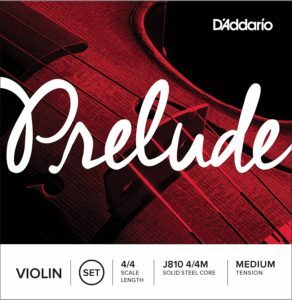 Prelude strings are the ideal beginner string since they cost less than $20 and provide a stable sound that suffices for any new student. These are good enough for at least the first year or two of playing, but after that, you’ll want to upgrade to a better set of strings. 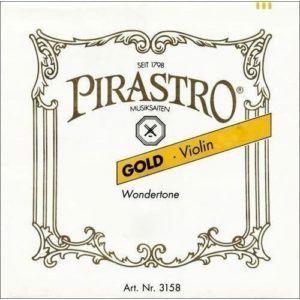 Another violin string brand that is a favorite among virtuosos, the Pirastro Gold series is popular for soloists, particulary when the Gold E string is paired with Dominants. The strings are gut strings made from modified synthetic fiber which gives them a quick response and break-in period. Because these are gut strings, playing on them is different than on regular strings. 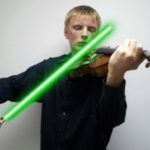 You’ll need to use the correct bow speed to achieve the right noise. Otherwise, we noticed a slight buzzing noise when the speed and pressure wasn’t right. Fiddlerman strings resemble gut strings and boast that they are indistinguishable from Dominants by professionals. Costing less than $40, these strings make great substitutes for the nearly triple-priced Dominant strings. Go ahead, given them a try! The Obligato strings for violin offer a slightly brighter sound than Evah Pirazzis. 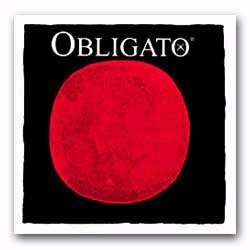 Obligatos are made of the same core material as Pirazzis, but they cost a little less. If you can’t afford Pirazzis, Obligatos make a great alternative. 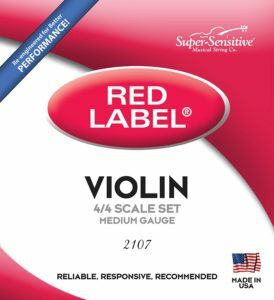 Super Sensitive violin strings are great for beginners who just want to get their feet wet playing the violin. They are extremely cheap (less than $15 as of this writing), and fairly durable. Made with a steel core with nickel wrapping, these strings will do the job, but should definitely not be used by intermediate players.